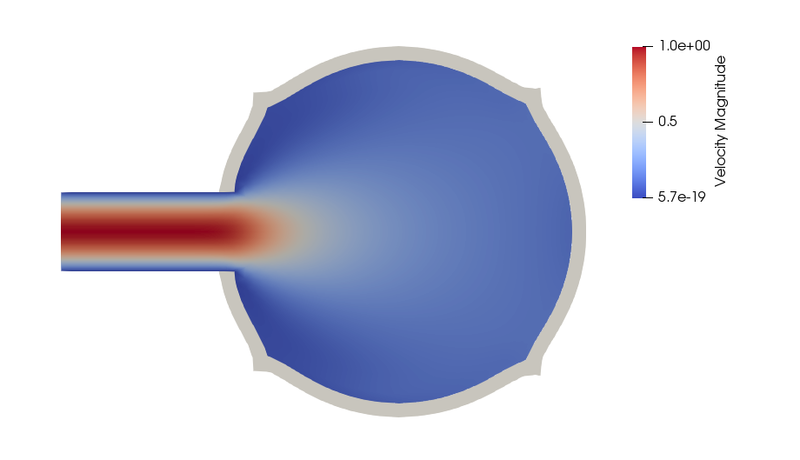 We study here an incompressible fluid flowing into a cavity, where its walls are elastic. 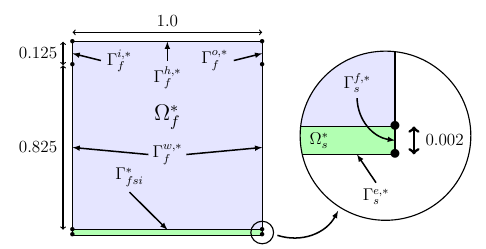 We simulate the deformation of a square box under continuous immission of an incompressible fluid. 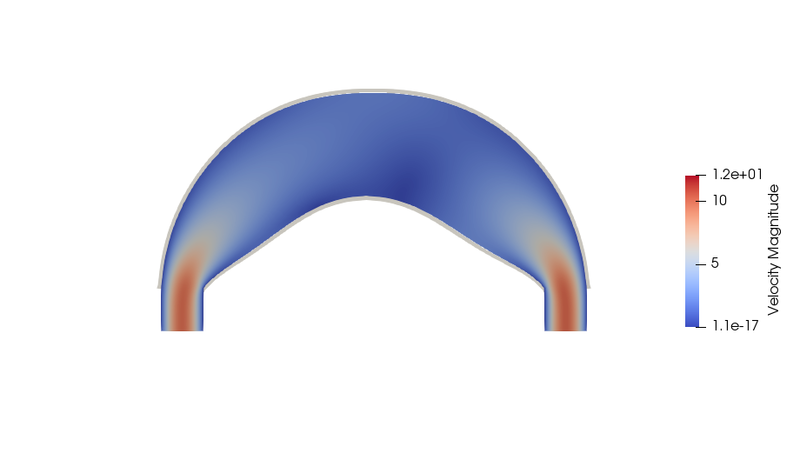 We simulate the deformation of a semicircular structure under continuous immission of an incompressible fluid.